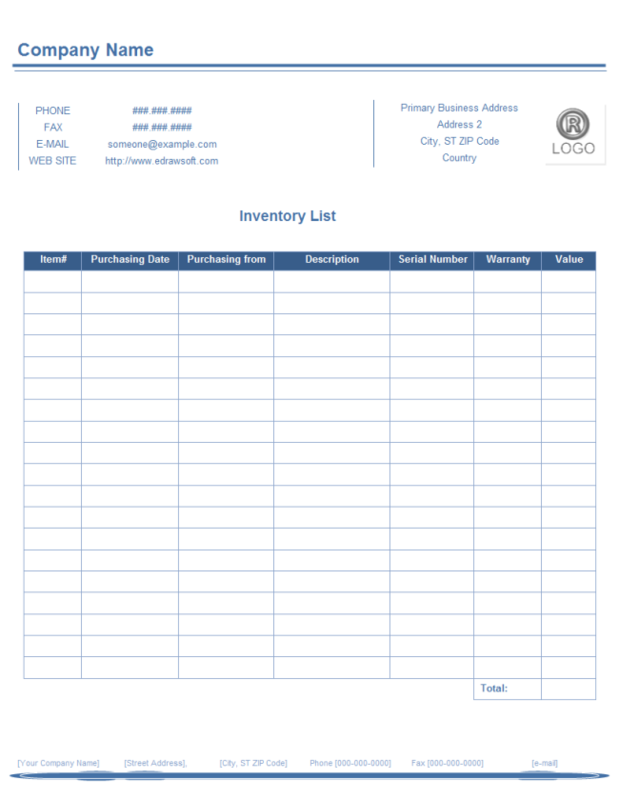 Description: A free customizable inventory list form template is provided to download and print. Quickly get a head-start when creating your own inventory list form. The Edraw inventory list software will help you to appreciate the power of business form skills, and make marvelous inventory lists.